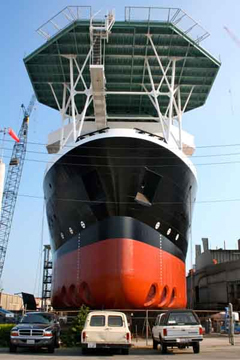 Global Marine Consultants and Surveyors offer Project Management in ship building and major vessel conversions. Project Management is carried out with detailed and continuous reporting. Shipyard Evaluation conducted by experts from shipbuilding industry. Verification of projects to the interest of owners and detailed reporting with photographs and evidence. Quality control inspections jointly with classification requirements and owners’ requirements. Superintendent inspections for vessels on Drydock and repair yard. Complete reporting with photographic details and other evidence.